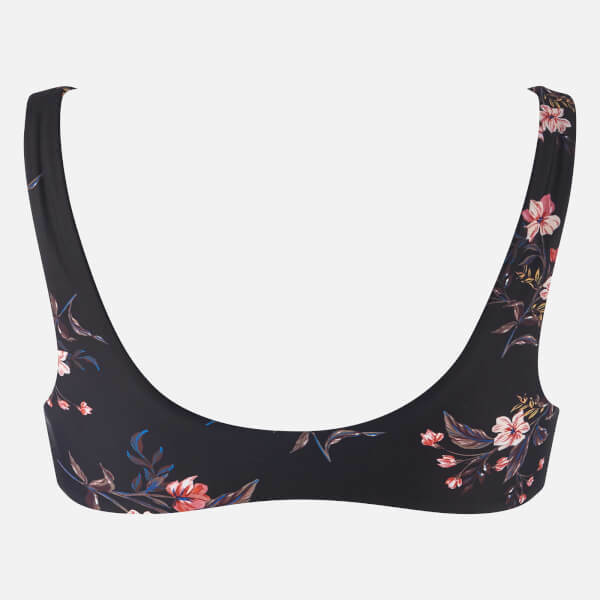 Women’s black bikini top from Australian fashion, beachwear and accessories brand MINKPINK. 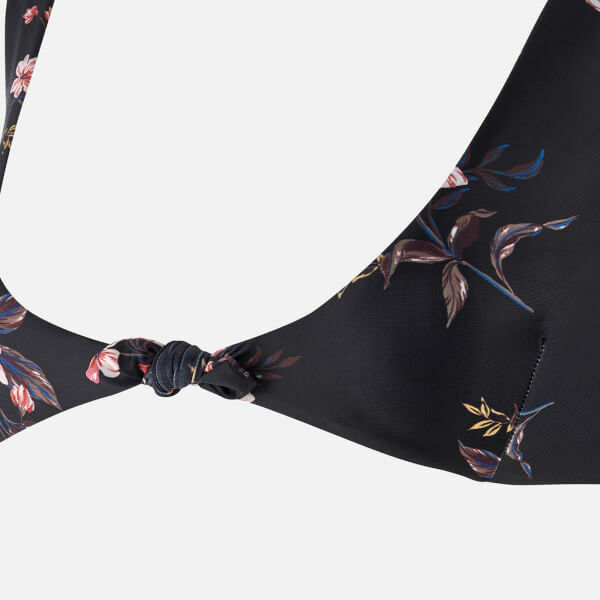 Adorned with an all-over floral ‘Jasmine’ print, the soft, cupless triangle bra features fixed shoulder straps and an adjustable self-tie detail at the front. Tonal stitching throughout. Shell: 82% Polyamide, 18% Elastane. Lining: 92% Polyamide, 8% Elastane.